Corte Brugnatella belonged to the Brugnatelli family's feud between the Trebbia and the Aveto valleys. Thanks to an ancient document, which is now preserved in the archives in Bobbio, we know that the founder of the Brugnatelli family was a captain of the Franks people named Breno, who was wounded in battle, and then moved to Trebbia. He exercised his dominion over this area from the Brugnello village, who had fortified: today there are still some traces of the walls and the castle. 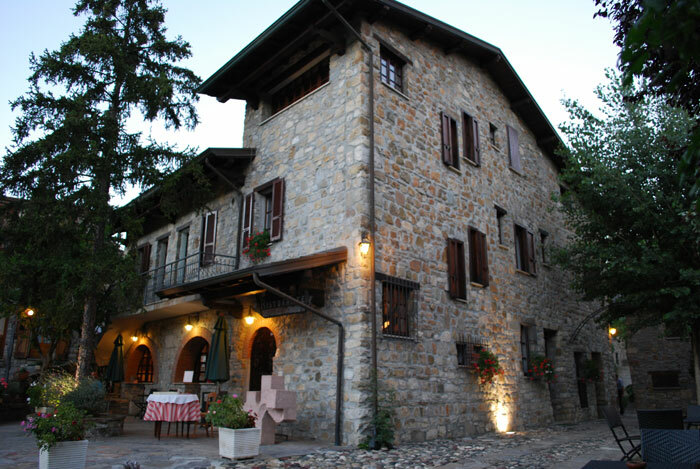 Brugnello, with only 11 inhabitants, is one of the most beautiful place of the Trebbia area. Recently restored, now it allows visitors to admire its stone houses and its church perched over a cliff, under which flows the Trebbia river, with crystal clear water still swimming.